Entertainment News announced the death of actor Morgan Paull, who at 67 died of stomach cancer on Tuesday, July 17, 2012. Paull lived in the surrounding area of Los Angeles, California. 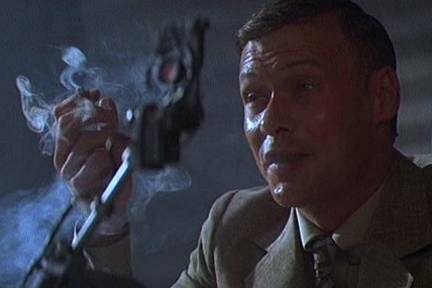 Morgan Paull was an actor, according to Wikipedia, who was probably most notable for playing Holden in the Ridley Scott film Blade Runner (1982). The film starred Harrison Ford. In addition, Paull played a greedy businessman in the 1984 comedy Surf II, and he appeared in the 1989 film Out Cold. Until his death, Morgan Paull resided in Lake Arrowhead in the mountains northeast of Los Angeles. This area is located in the San Bernardino National Forest about 90 miles from Hollywood, California. Condolences to Morgan Paull’s family, friends and fans. For more on Morgan Paull go to Interviews.